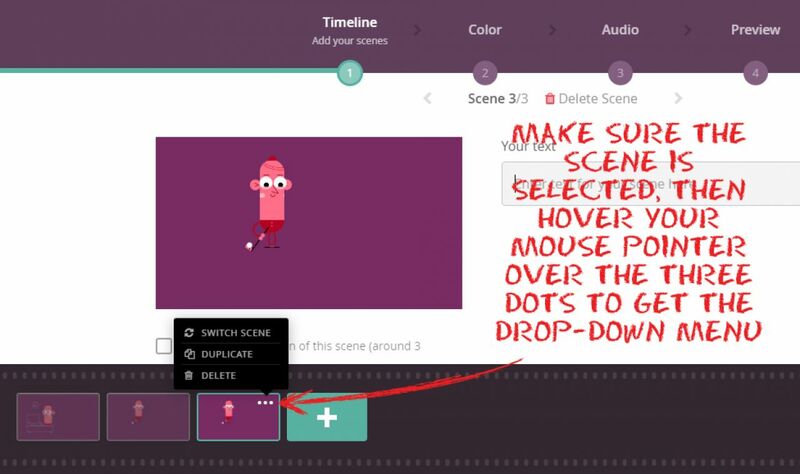 Select the scene on the timeline, hover your mouse pointer over the three dots in the top right-hand corner of the thumbnail and select Switch Scene from the drop-down menu. 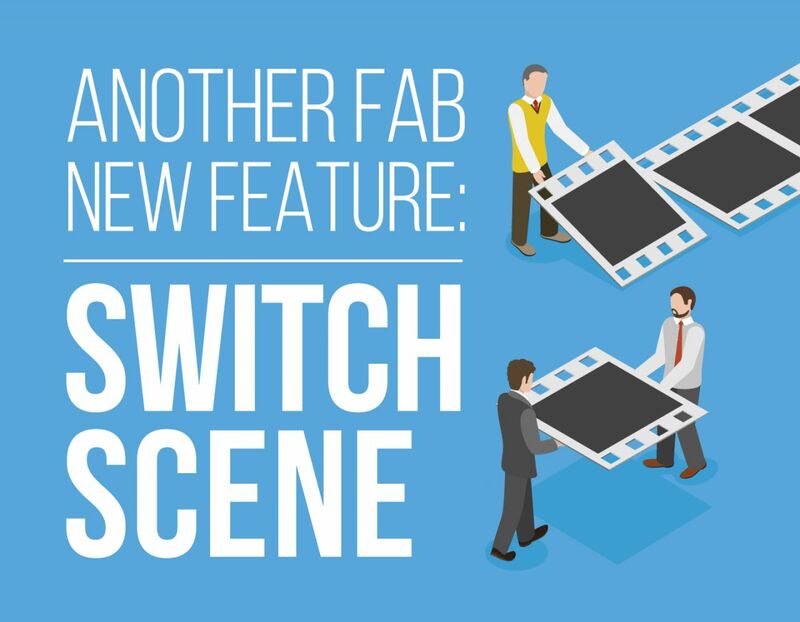 You’ll then be able to choose a new scene that will replace the original. Not only will the new scene keep the text from the original, it will also keep any picture you’ve uploaded too, which is especially handy because it saves you from having to upload your picture or logo again. Rather awesomely, if you have a scene with two text boxes and switch to another, it will keep both. This feature has been added in response to feedback from Biteable users, so please let us know if there’s anything you feel we could be doing better or that might improve our service. Contact us by clicking on the speech balloon icon in the bottom right of your screen when you’re logged in to your account.